Select all the services you want to install. Please note that you MUST check ISAPI Extensions. 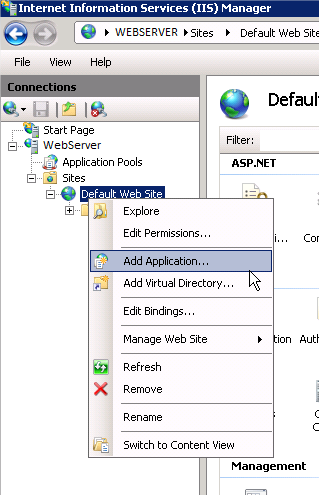 It is also a good idea to install ISAPI Filters, CGI and ASP.NET, unless you are sure that you won't install any other web application in this server. 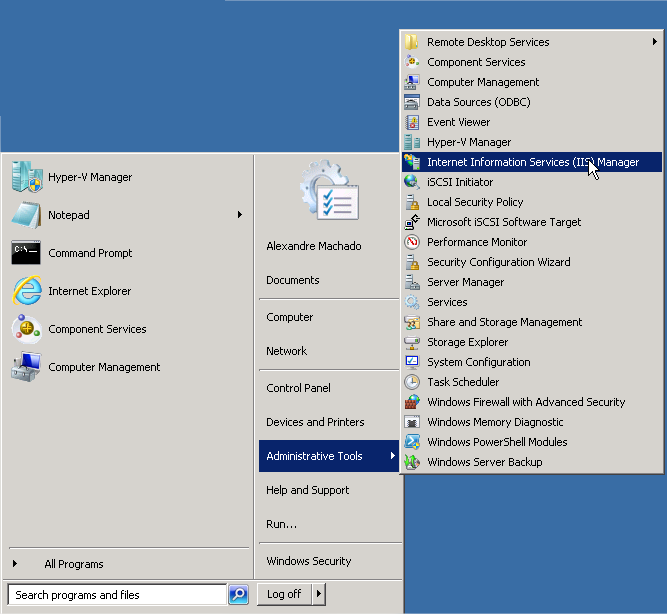 Windows is now ready to install all required services. Click on Install button and wait until it finishes. 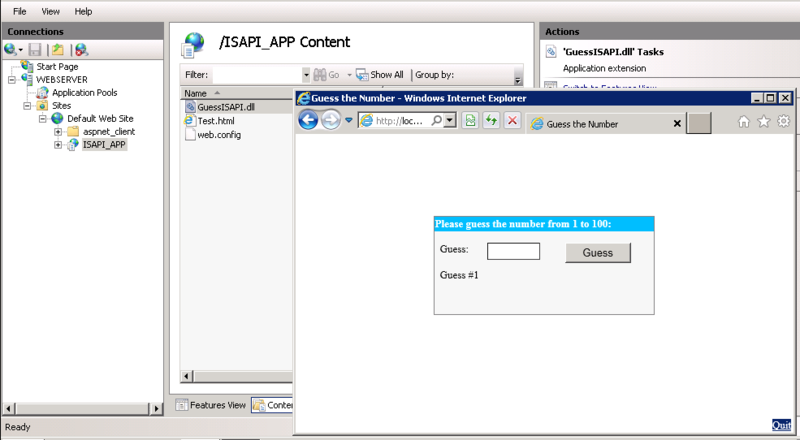 Once you have all the pre-requisites installed, it is time to install the ISAPI application. We start creating a new application pool for the ISAPI application. 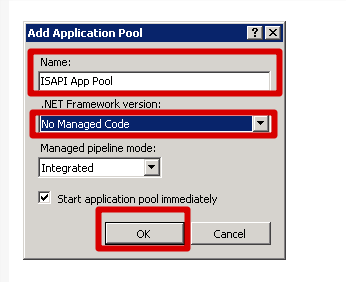 It is a good idea to create one application pool per application. 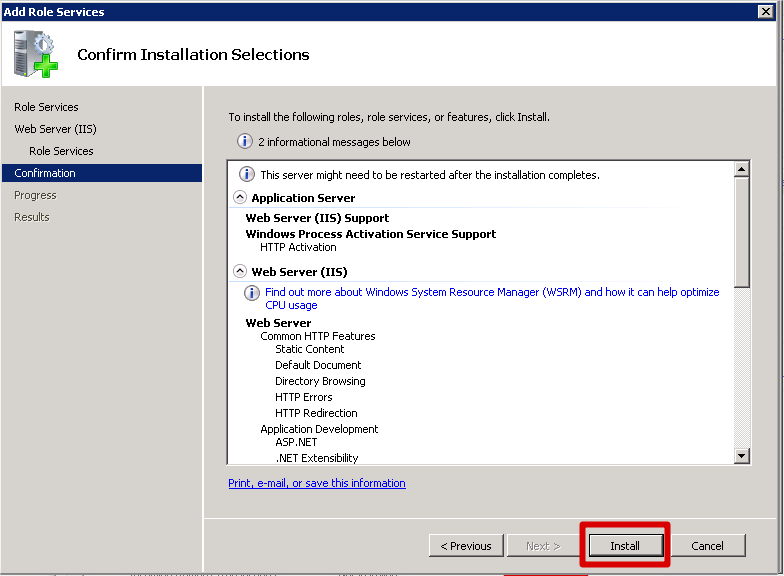 Doing this, you can stop/update/start an ISAPI application without interfering with other installed applications. 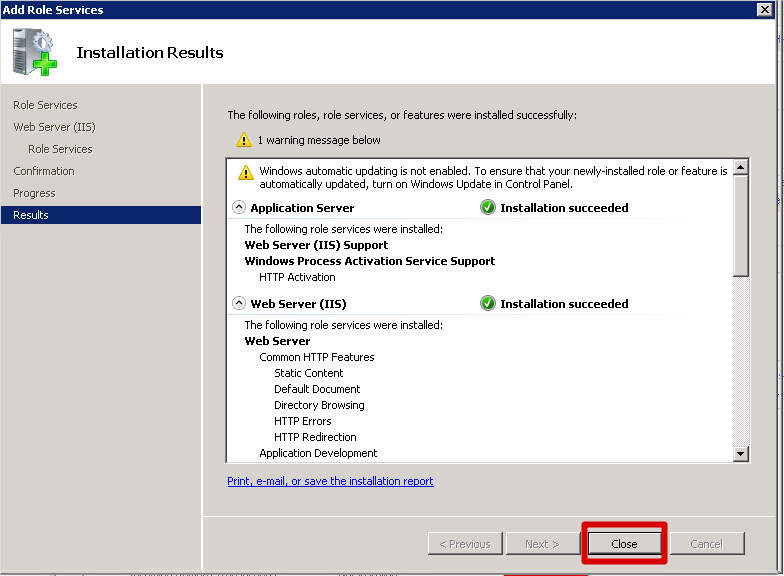 In order to support 32-bit application on 64-bit Windows you must set Enable 32-bit Applications to True. 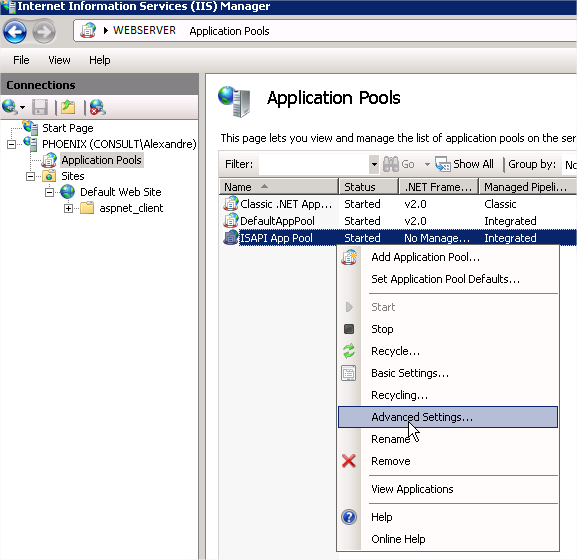 Also, select the Identity of your application pool and set it to a custom account. Personally, I always create a new user for the application pool and give it all the required priviledges. 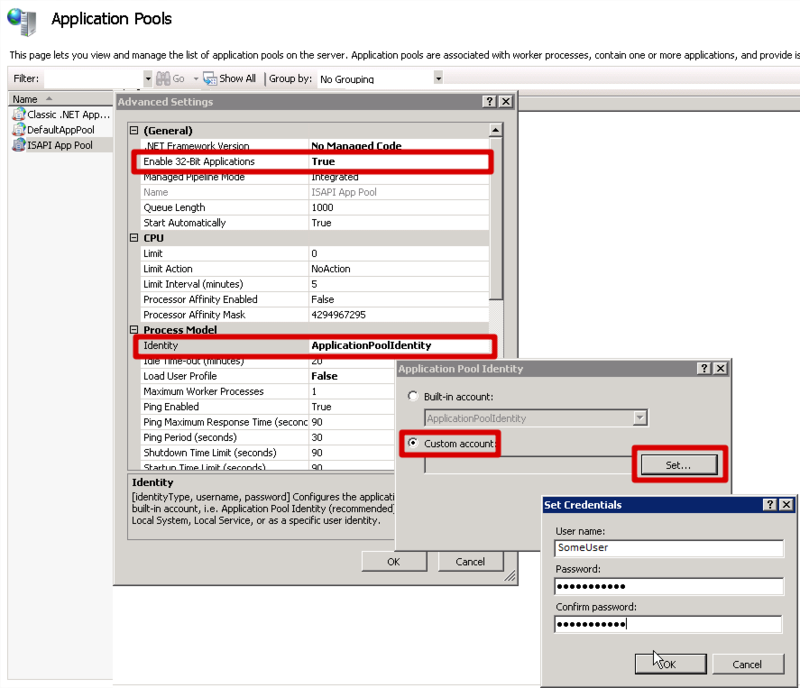 If your your application requires access to other protected network resources (like other application servers, database servers, etc.) you should consider using a domain user with all the necessary priviledges. 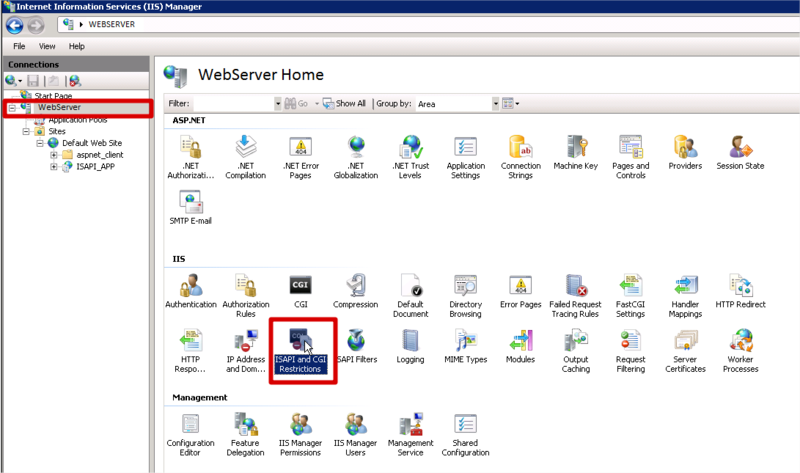 If you have full control over this web server, it is easier if you add the user to the Local Administrators group. This way, security restrictions won't affect the process. Once the application is running, you can remove the user from Local Administrators group and give it only the requires permissions. 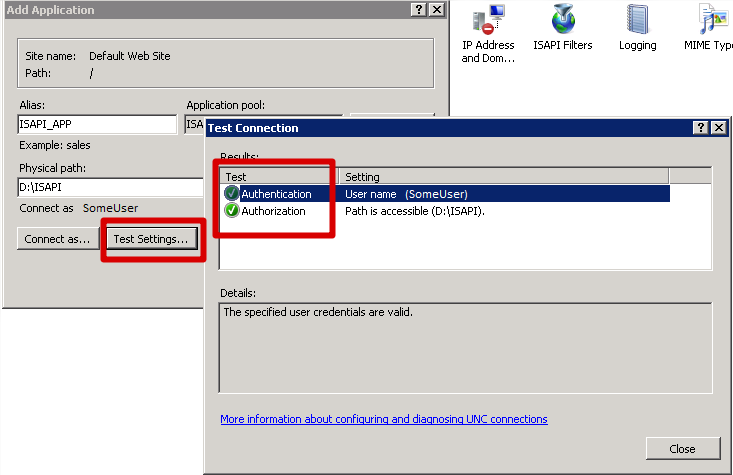 Select the application pool that you created on step 2 and the physical path, where your ISAPI DLL will be installed. Also, click on "Connect as..." button and set a specific user for the application. Again, personally, I always set the same user created for the application pool, because I want all the settings to be explicit. Once the user is set, click no the button "Test Settings...". It must succeed. 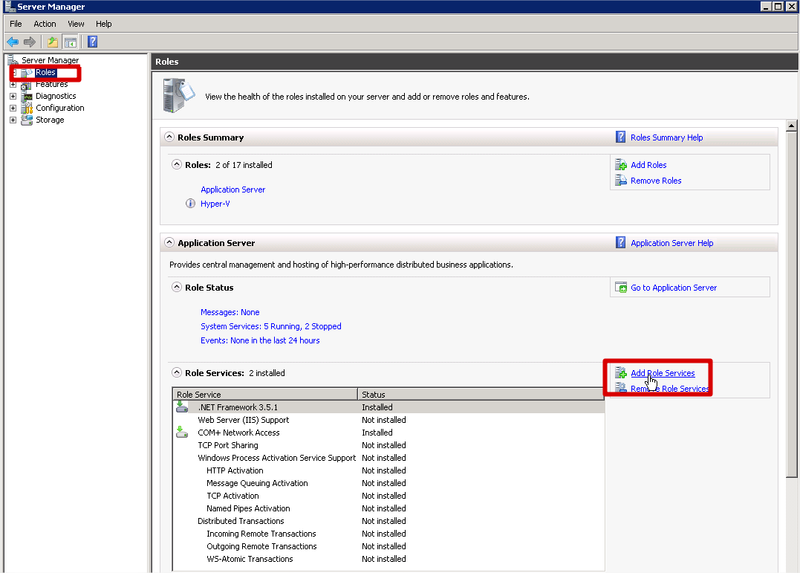 If not, check the NTFS permissions of the user on the physical path selected. 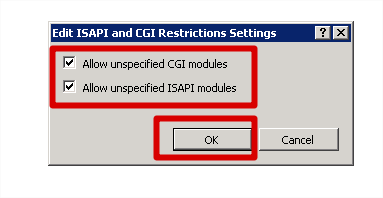 Even though you installed ISAPI support, it is disabled by default. 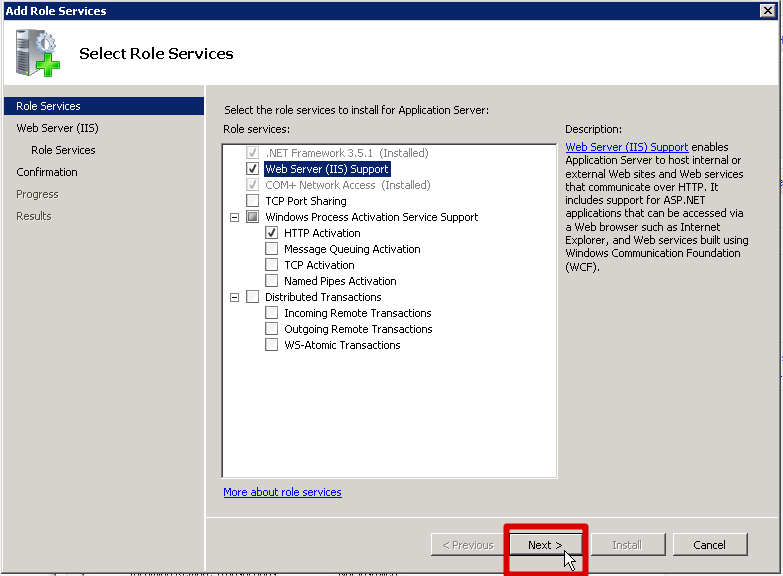 You have to enable ISAPI on IIS before testing your application. This basic test is not required, but it's better test the setup of your web application with a simple HTML file before trying to deploy your real application. 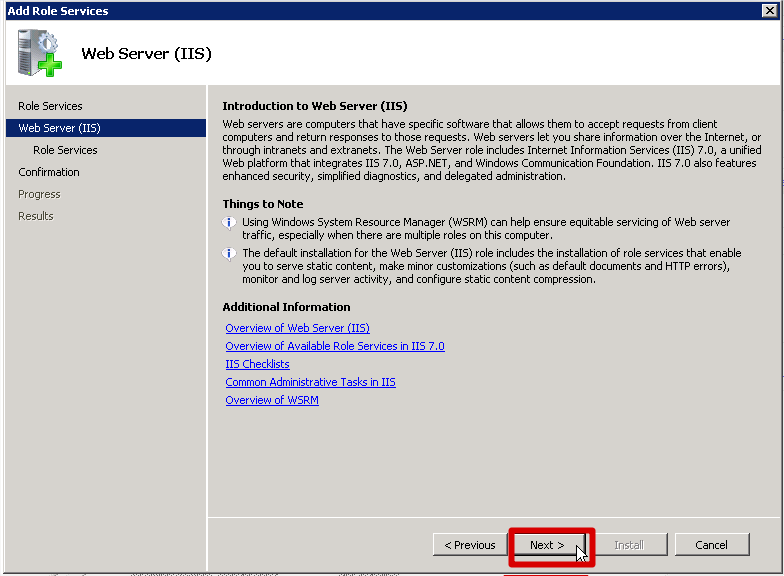 Don't expect your ISAPI application to work properly if IIS can't serve a simple HTML file. 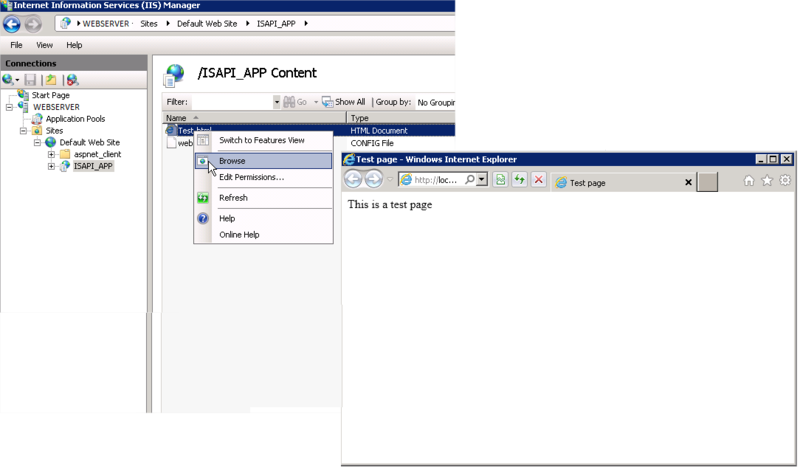 Create a simple HTML file (see the example) using notepad and save it in your application folder. 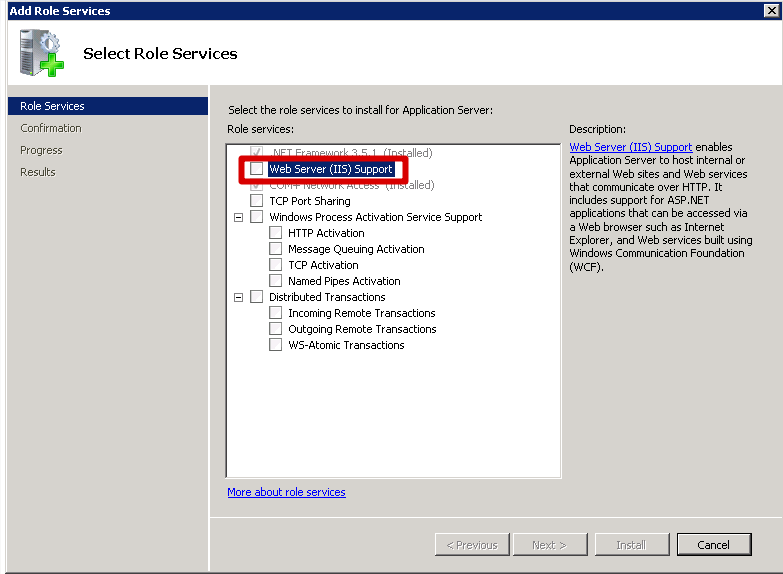 Inside IIS Manager, switch to "Content View", right-click your test.html file and select "Browser". This basic test must be successful. 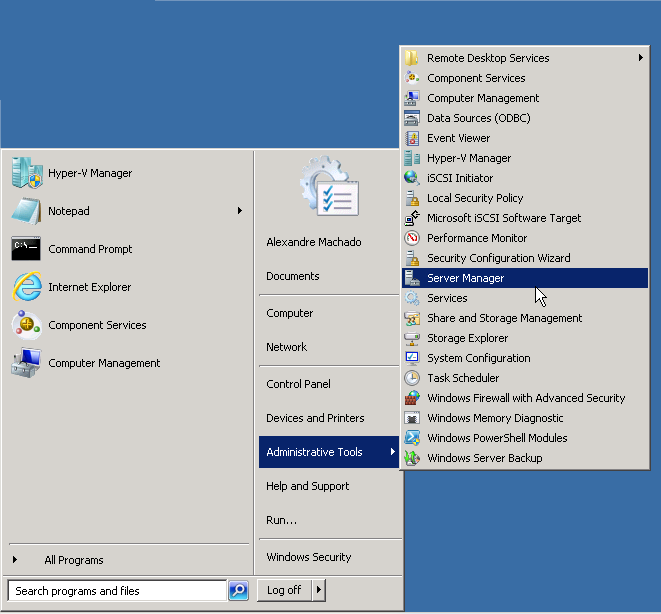 If not, check the user credentials in NTFS and also if WWW service is running. 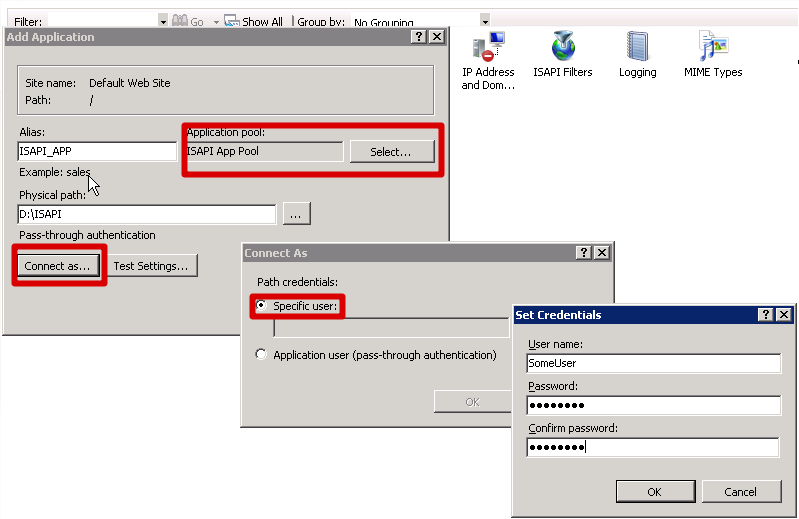 Copy all file required by your ISAPI application to the application folder. Remember to copy wwwroot folder and its files to the server. 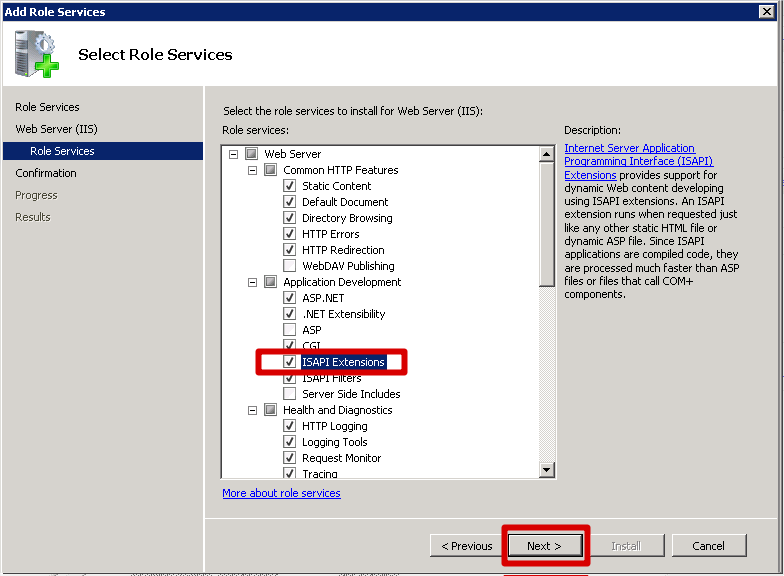 Also check the section 6 of this document about web.config changes required for your ISAPI application. 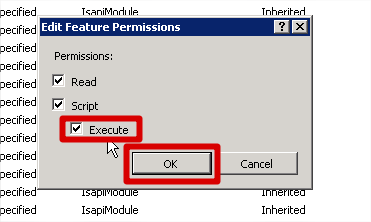 Once the ISAPI files are in place, repeat the test but now using your ISAPI DLL. Then save this file in the same folder where your ISAPI DLL is located and you are done.